Check out this enormous skatepark mural by Moscow-based art collective Zuk. 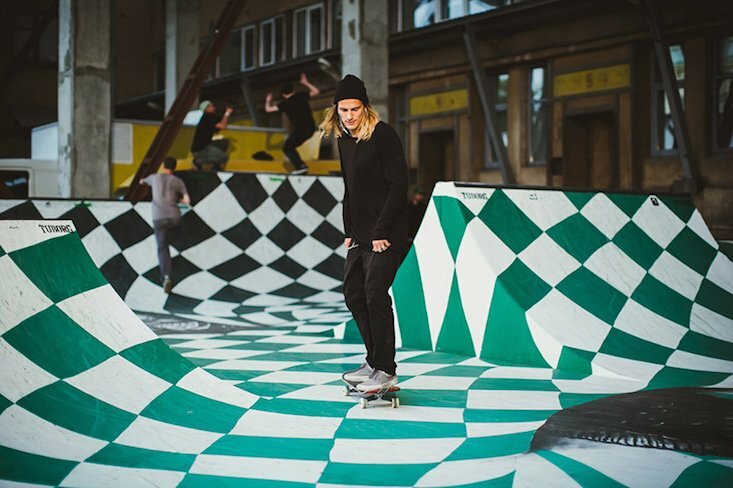 The art installation formed part of Moscow's Tuborg Green Jam Festival at the city's Pravda complex, with its vibrant print spanning the entire sports area. 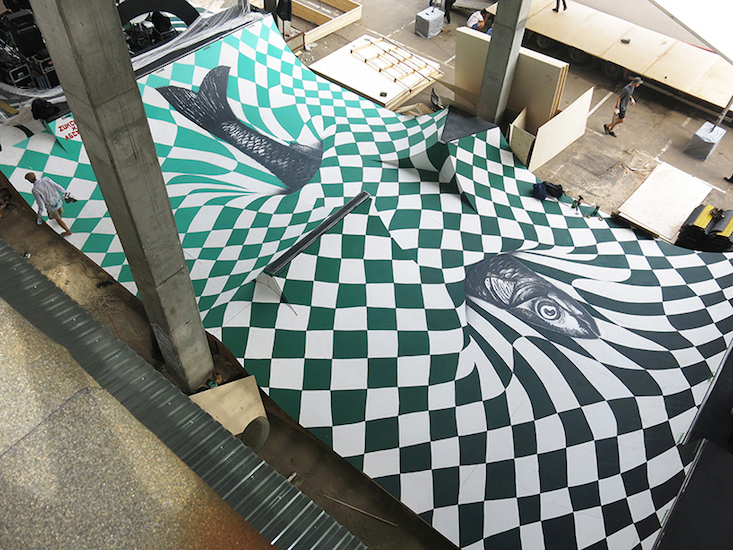 The surface of the Skatepark installation takes on a warped checkerboard pattern, in the middle of which a large fish appears to cut through the surface. Behind the ramps, a painted platform forms a stage for performers taking part in the festival.